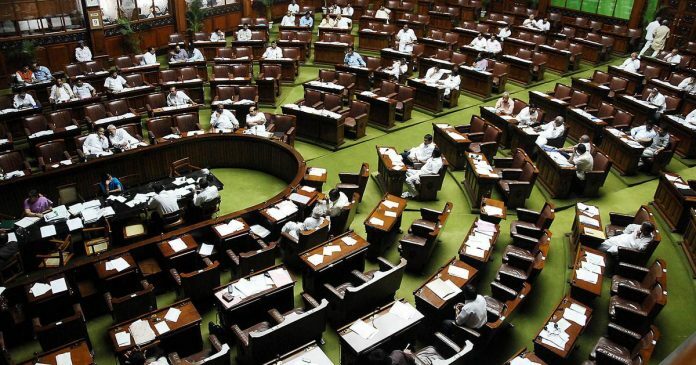 A landmark bill seeking to provide 10 per cent reservation in jobs and education for the general category poor was passed by the Lok Sabha Tuesday, with most parties backing the measure, described by the government as “historic” and in the country’s interest. As many as 323 members voted in support of Bill and only three voted against, underlining the cross-party support the politically crucial bill elicited. Replying to an over four and half hour debate, Social Justice Minister Thaawarchand Gehlot sought to allay doubts raised by several opposition members about the legislation’s fate if challenged in the Supreme Court, saying he can say with confidence that the apex court will accept it. The Modi government’s policy and intention is good and that is why it has enabled the reservation for the poor in the general category with constitutional amendment, he said, seeking support of all parties for the passage of The Constitution (124th Amendment) Bill 2019. “Your doubts are unfounded. Put them to rest,” he told opposition members, many of whom dubbed the bill as “jumla” and “gimmick”, questioned its legal standing and accused the government of bringing it in haste with an eye on the Lok Sabha polls. Mr. Gehlot claimed that the bill is in line with Prime Minister Narendra Modi’s assertion when he assumed power in 2014 that his government would be devoted to the cause of the poor and work for “sabka saath sabka vikas” (With all, development for all). “This is an historic decision and in the interest of the country,” he said. Mr. Modi and Congress president Rahul Gandhi were present in the House when the bill was passed. The government will table the bill in the Rajya Sabha on Wednesday.